Sometimes, you’ve got to check what you’re putting inside to make a difference outside – and detoxing your diet is a really great way to do this! Go for fresh, in-season food. 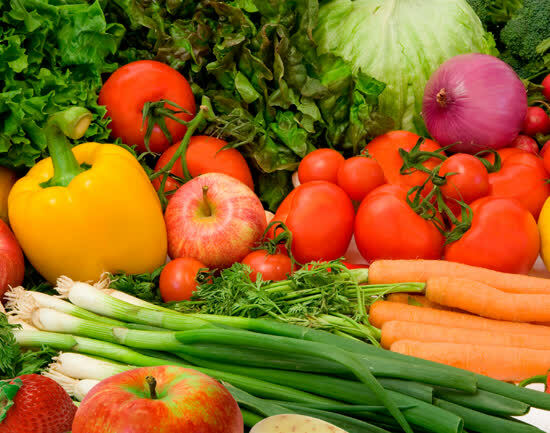 In-season produce is actually one of the best ways of getting your fix of nutrients and minerals, rather than preserved or frozen foods, so check out local markets and produce aisles to see what’s in. Fresh fruits like strawberries and other berries are amazingly nutritious, packed with fibre – to help get your digestive system moving – and lots of vitamin C, to give your skin and body a bright, energetic glow. Plus they’re pretty tasty too! But – smoothies are a really amazing way of getting lots of superfoods in all at once. Bonnie Taub-Dix – an NYC nutrition expert, loves packing in lots of spring greens and fresh fruits into a blender, for a smooth and delicious, nutrition-packed instant meal. One great pro tip from her that we totally love: use lots of high-water fruits and vegetables, like oranges and cucumbers, to make your smoothies feel lighter. The extra water content will also help to hydrate your skin more, and is a great way of detoxifying your body. Don’t forget the other parts of the nutrition pyramid in your seasonal detox though. As well as eating lots of fresh, seasonal fruits and veg, make sure you get in valuable minerals like iron. Sara Stanner, the nutrition science manager, stresses the importance of this. Low iron can cause fatigue (and might be why you’ve been feeling so tired and sluggish) so eating iron-rich foods like lean red meat, pulses, nuts and eggs will really help to boost your energy levels. You should also make sure you include some protein too. Protein is essential to help your body grow and repair itself – and it’s needed inside the body just as much as it is outside! So if you’re detoxing your diet, your body will need this valuable nutrient to restore cells and tissues to optimum levels. Try lean proteins like fish, yoghurt, nuts and pulses. And here’s a surprise source of protein that you can smoosh up in your smoothie too – melon! Last tip – we’ll take it from the goddess of domestic advice, Martha Stewart herself! Seriously – get organised and clear out that clutter! Do you really need that stale, ancient mysterious object at the back of the fridge? Didn’t think so! Use clean, transparent storage systems to see what you’ve got – it’ll help you stay on top of your eating habits too.